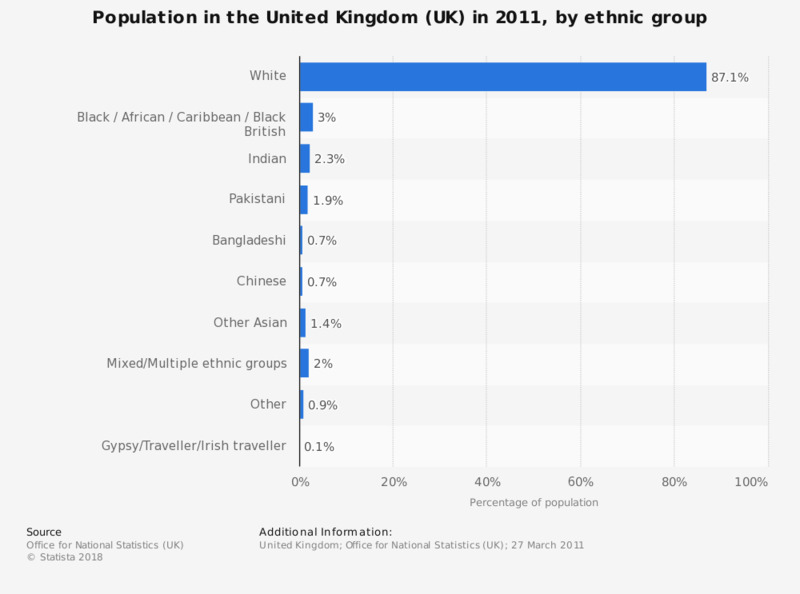 This statistic shows the ethnic groups of the 2011 United Kingdom (UK) population as percentages. 'White' is by far the largest group, at 87.1 percent. The next largest group is 'Black / African / Caribbean / Black British'. 0.9 percent of the population came under the category of 'other'.